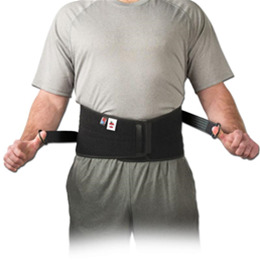 CorFit Advantage Belt w/ AP Pads :: Braces & Supports :: Core Products Int., Inc. Practical and easy to wear, the CorFit® Advantage AP provides maximum support and comfort for patients suffering from low back pain or injuries. With opposing side pulls, compression adjustments can easily be made to lumbar and sacral regions independently. A removable posterior panel with 25° arc provides additional comfort and compression on lumbar region. 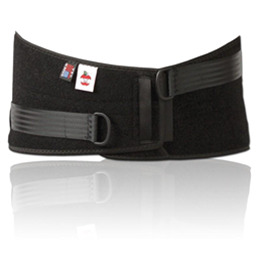 Removable anterior panel offers additional abdominal support and compression. Our patented fitting system accommodates any size or body type – taller supports for larger patients and shorter supports for petite or juvenile patients. Flexible lateral stays and durable nylon tensioning system creates support without decreasing comfort, while a plush interior with high quality hook and loop closure ensures years of use.